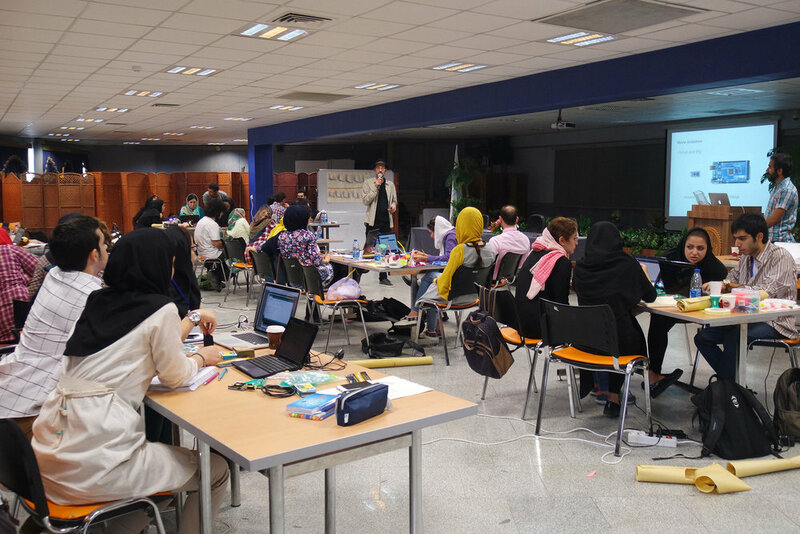 Aadjan van der Helm and Bahareh Barati held a 5-day workshop on the topic of Interaction Design (9th-14 Apr) in Kish Island. Forty Bachelor-level and Master-level students participated in the workshop. The workshop involved both lectures and practical sessions to familiarize students with tools and methods developed in IDE, on social design and interaction design. The students were provided with a theoretical lens to explore and identify social interaction dilemmas in public spaces such as restaurants and offices. Some of the social interaction dilemmas found by the students included Œdilemma of using mobile phones instead of enjoying friend¹s company in restaurants¹ and Œdilemma of changing the temperature of an office environment according to individual¹s preference¹. Nine teams of students used techniques, such as writing narratives, acting scenarios and making quick prototypes to explore the solution space. 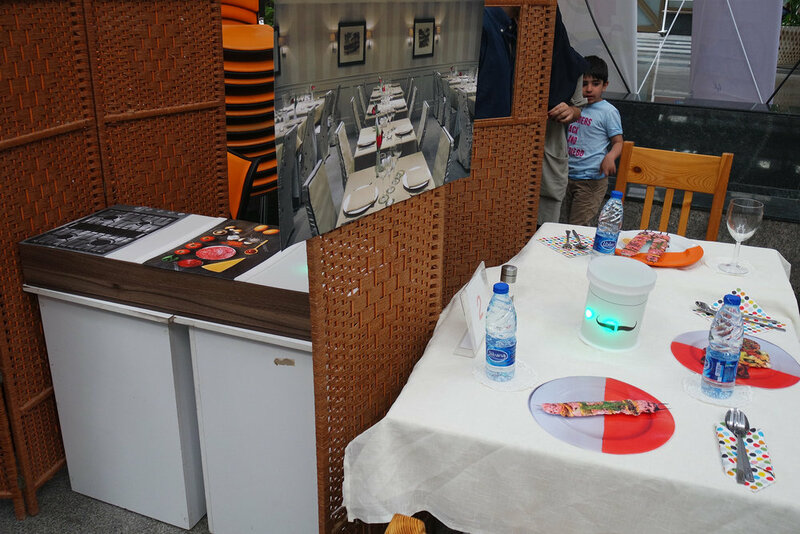 For example, one group came up with an idea to connect the customers to the restaurant chef, by allowing them to express their (dis)satisfaction to the chef through tangibly interacting with their plates. 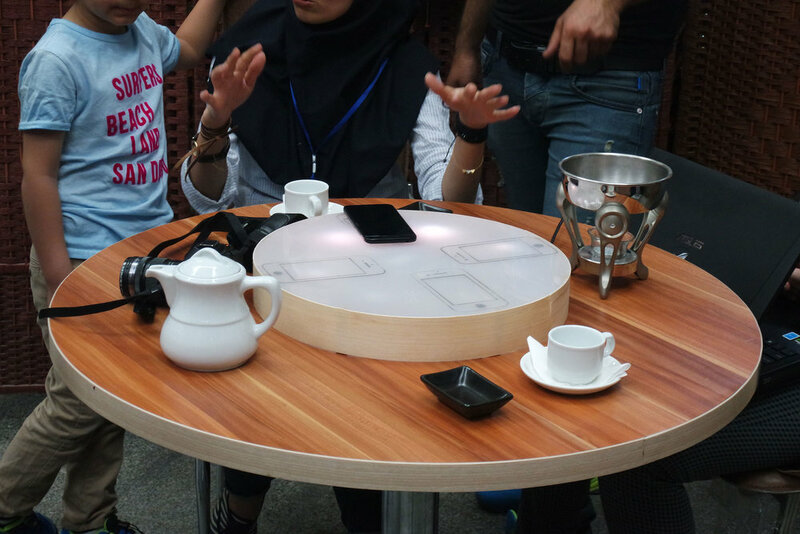 Another example was a working prototype of a mobile phone collector at the center of a restaurant table. In an idle state, a rotating light movement was considered to caused visual disturbance, thus encouraged people to place their mobiles and get a nice calm light as a reward. 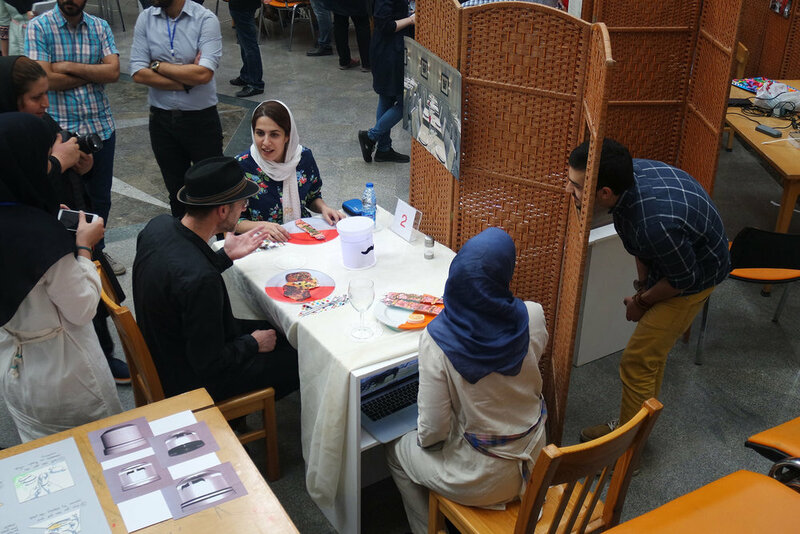 On the last day, the projects were exhibited in the main hall of the University, open to a large number of students and lecturers to experience 9 working prototypes. The workshop was closed with a panel discussion, in which students shared their experiences and insights on the workshop. The collaboration proved to be very useful for students, in learning the basics of prototyping with technology and the effect of early prototyping and iterations on conceptualizing and reflecting, and opening up the conceptions on what can be done with technologies involving light and touch (e.g. LEDs and touch sensors) in terms of expression and experience.